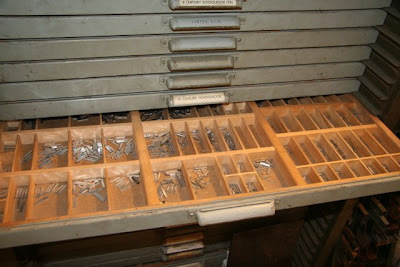 Use to do letter press in 1952 while in high school, Marinette, WI. Didn't have metal base and you're right about the weather effect on wood. 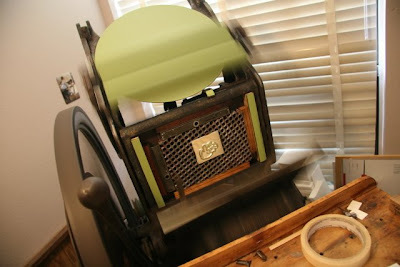 Most of the base we had was under .875 so we mostly had to underlay base with onion skin paper. Here's some pics and info I put together a couple years ago. and here are more recent activities a couple years ago. Very cool of you to post the steps of your process! How does the unmounted plate stay on the honeycomb base? Whatever worked with wood is right, wisconsinjer! 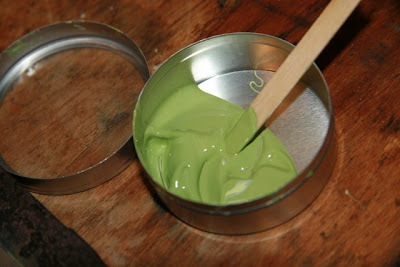 I still do all this crazy makeready on rainy days! Mo, if you look at the picture with the honeycomb base closely, you'll notice that there are four little toggle hooks on each side of the plate. You put the hook into the hole and using a toggle key, tighten the hooks in the holes so it locks the plate in place. Pretty simple, and it gives you (almost!) 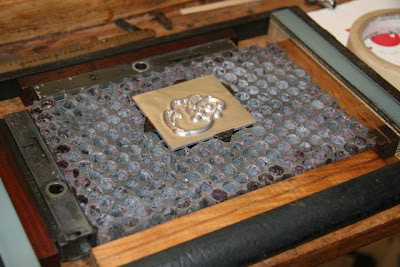 the placement ability of a photopolymer with the crisper prints of metal. I had two questions for you. 2) Where did you get your roller bearers. 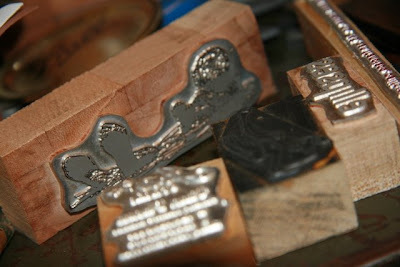 Bill - Beaver Engraving in Portland, Oregon, does my photoengraving. 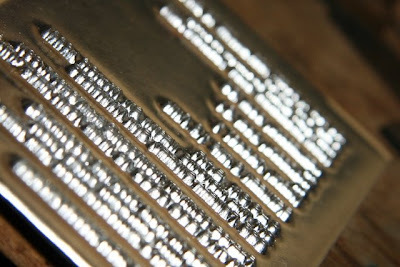 The thicker the plate, the deeper the etch - I use 11pt magnesium. Most magnesium plate users go with 16gauge. They have 1/4" magnesium as well. The roller bearers are actually 36pt full face rule (or type high slugs). 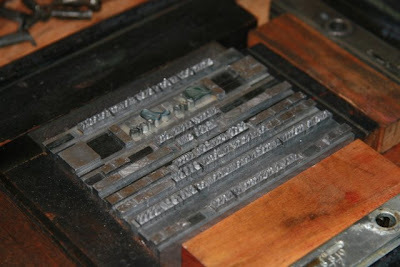 I've also used linoleum blocks cut to size and built up to type high with good results. That was facinating...I can really appreciate all the work that goes into this process! Thank you! 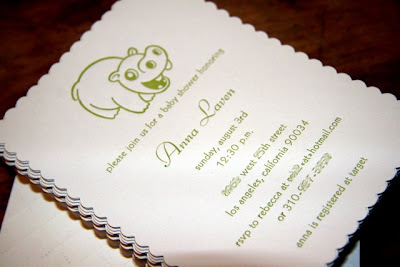 Your invitation is beautiful, can you tell me what kind of press that is and where you bought it. 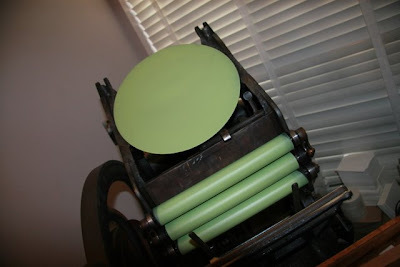 I miss printing from my old high school printing shop day, I thought that I would try and pick it up. This is a great resource and very informative! I have just done a feature on my blog referring people to your post - hope this is okay!!! Congrats on such a great resource! Where did you find your honeycomb base & toggles? Thanks again for your insightful posts!